MISSION STATEMENT of Northern Rocket Football League, INC. “ROCKET FOOTBALL” and “FLAG FOOTBALL” are recreational programs for the benefit of children, conducted by interested adults. Although any sport is competitive, this competitiveness is not emphasized, at least in the perspective of winning or losing. The primary purpose of “ROCKETS” is that every child is placed on a team and every player participates as equally as possible. RULES ARE DESIGNED TO PROVIDE A SAFE ENVIRONMENT FOR THE MAJORITY OF THE PLAYERS. Believing that each game is incentive enough to provide a competitive atmosphere, there are no official standings kept and no championships awarded. Teams are constructed through the league sponsored draft process,* and in scheduling an effort is made to match teams of similar strengths. Four years ago, in 2013, the NORTHERN ROCKET FOOTBALL LEAGUE, INC. experienced a slight drop in the number of participants in tackle football; but an increase in both flag and cheer kept us at a total of 8,500 boys and girls engaged in league activities. The number of coaches and administrators also stayed steady at just a little over 1,000 volunteers. For the second consecutive season the customized “strength based” computer scheduling program was tweaked but still managed to schedule almost 800 games at 35 different sites, factoring in a number of variables including the previous week’s record. The year was the leagues’ first season as a fully participating member of USA Football which meant that all coaches completed and passed the Tackle Certification or Recertification program. That training emphasized safety especially keeping the head and neck out of the game and coincided with the recently enacted “Michigan Concussion Law” that went into effect June 30, 2013. The USA Football Heads-Up Football (HUF) program (part of our membership requirement) trains a coordinator/coach for every NRFL area to works with parents, players and coaches in proper fitting of equipment, and correct blocking and tackling techniques. That training was held in June at Tri-County High School in Howard City and was a rousing success. Dan Hagstrom is the Heads-Up Football Coordinator for the NRFL and his job includes serving as a liaison between USA Football and the area Player Safety Coaches. It has always been the league’s goal to make our activities, as safe as possible for all of our players whether tackle, flag or cheer and we feel that the Heads-Up Football program strengthens the NRFL’s own concussion policy. The Heads-Up Football training for this year was held on Saturday, June 28th again at Howard City. The league awarded college scholarship funding to a record 31 former participants in our programs last year, bringing to 193 the total number we have helped since creating the fund in 2001. The recipients came from 15 different NRFL areas and opportunities to donate to the scholarship fund can be found on this website. Last fall also saw some additions to the roster of programs in the NRFL. Saranac, in Ionia County, Spring Lake in Ottawa County and Kalamazoo all had teams playing in the NRFL. Saranac and Kalamazoo had teams at all age groups while Spring Lake had players at the 12/14 year old level. The league welcomed those new programs to the NRFL family. The NORTHERN ROCKET FOOTBALL LEAGUE, INC. is an instructional league that exists for the sole purpose of promoting and teaching the game of football. We are a 501c3 non-profit organization incorporated under the laws of the State of Michigan. 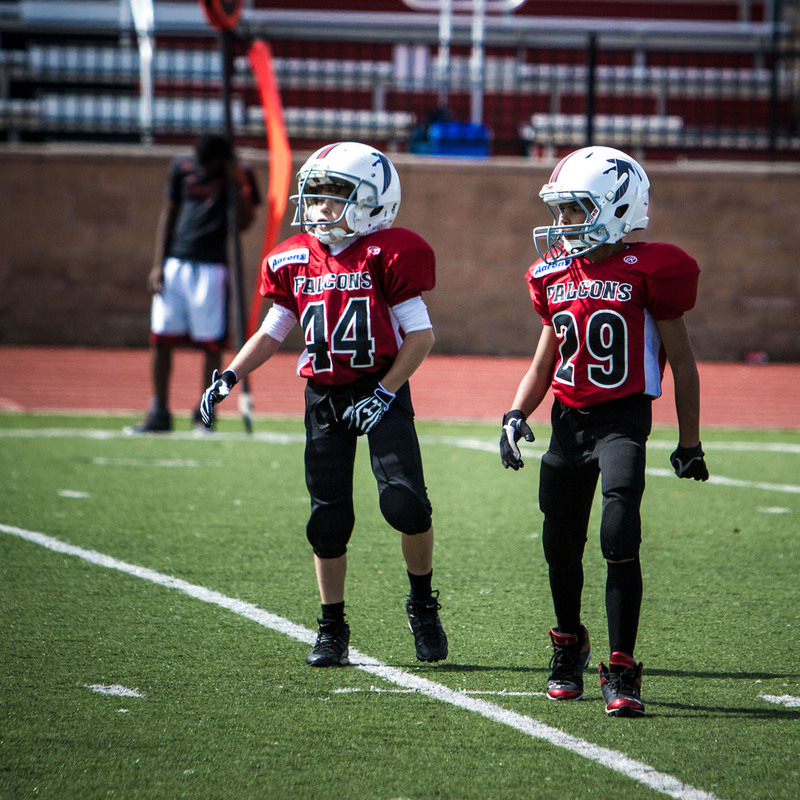 Our mission is to offer safe, fun football and promote sportsmanship in all of our activities. The NRFL is overseen by an Executive Board that is composed of the Field Director of each member area and the 12 members of the Executive Council. The Executive Council handles the operation of the league during the off-season and all E-council members are unpaid volunteers. PARENTS can help us achieve those goals of promotion and teaching by being on their best behavior and displaying sportsmanship at all activities- watch your language and actions because they reflect on ALL of us and remember your sons and daughters learn from watching you. Support your coaches and administrators, even, perhaps especially when you personally do not agree with them; remember they are all volunteers and deserving of your respect. Thank you for your support and if you have questions please ask your area Field Director and they will either have the answer or will get it for you. Let’s make 2017 GREAT !